A terrific Spalding Whitey Ford TraPocket Personal Model #1105 earned OrangeKrate (a fine ebayer by the way) $300 on 21 bids. 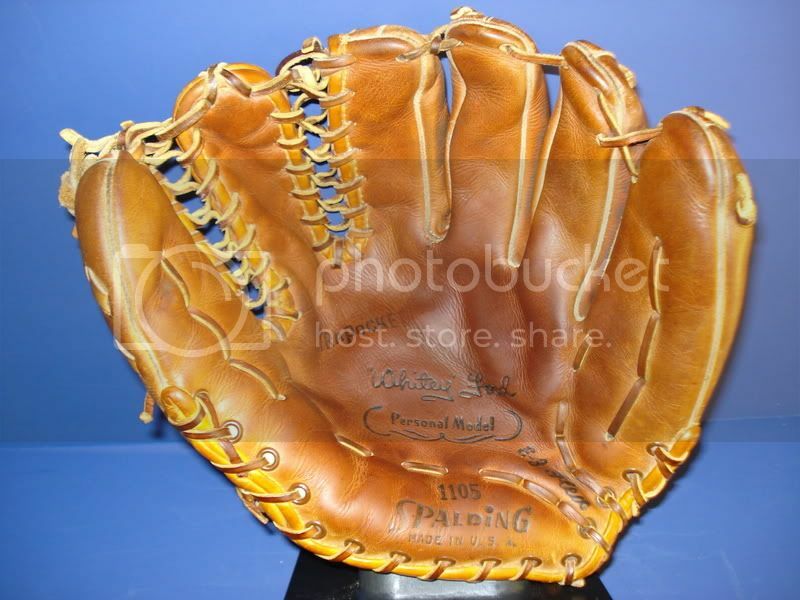 The glove was only produced in 1961 and is a great example of the classic 6 finger design. I have a Jim Bunning PM TraPocket that I bought from OrangeKrate a few years ago and this one would have made a nice bookend for sure. Congrats to the buyer of this one. 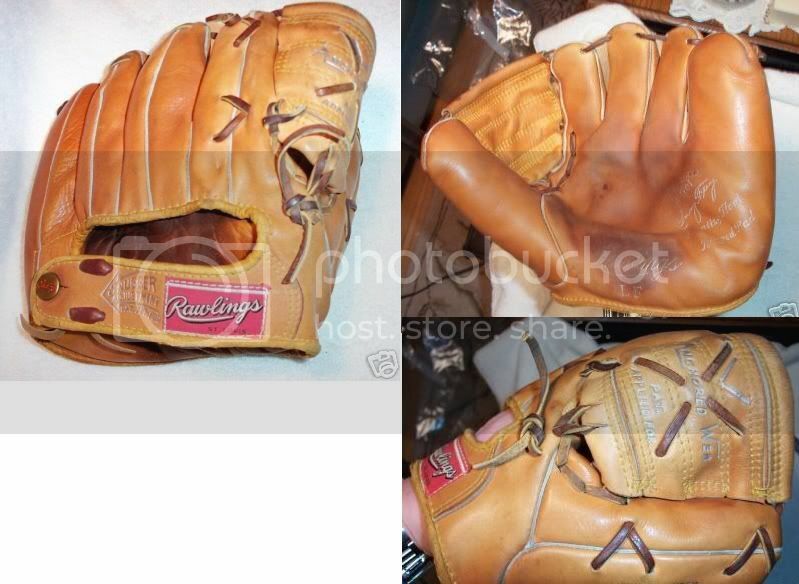 From one HOFer to another, this HOH XPG3 Spahn model sold using BIN for $229. Honest, I went out to walk the dog for 10 minutes to think about grabbing this one, decided to buy, came back and it was gone. 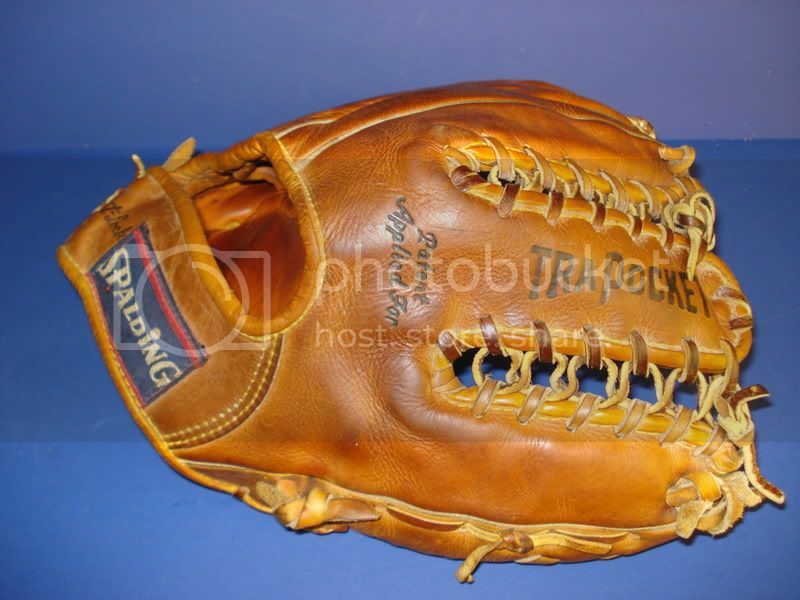 A beautiful glove, and living in Buffalo I should have bought it for sure (Spahn was born here). Remember, he who hesitates is lost (and outbid). 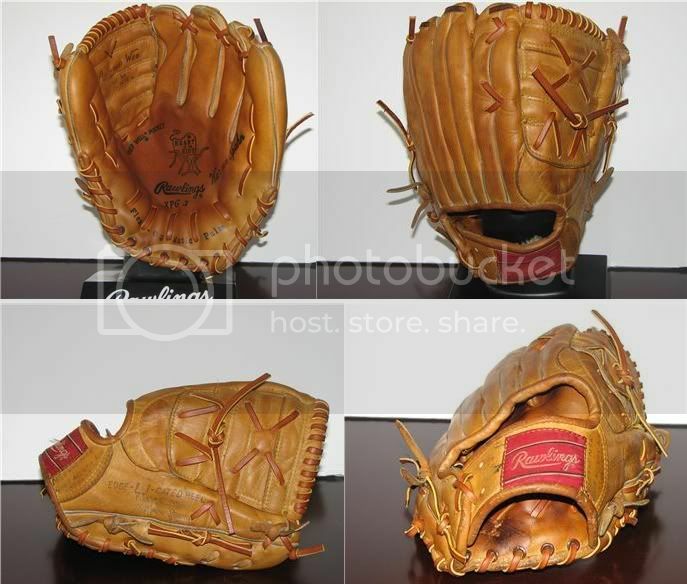 This Rawlings Lonny Frey LF model is an absolute beauty at a very fair price of $195. 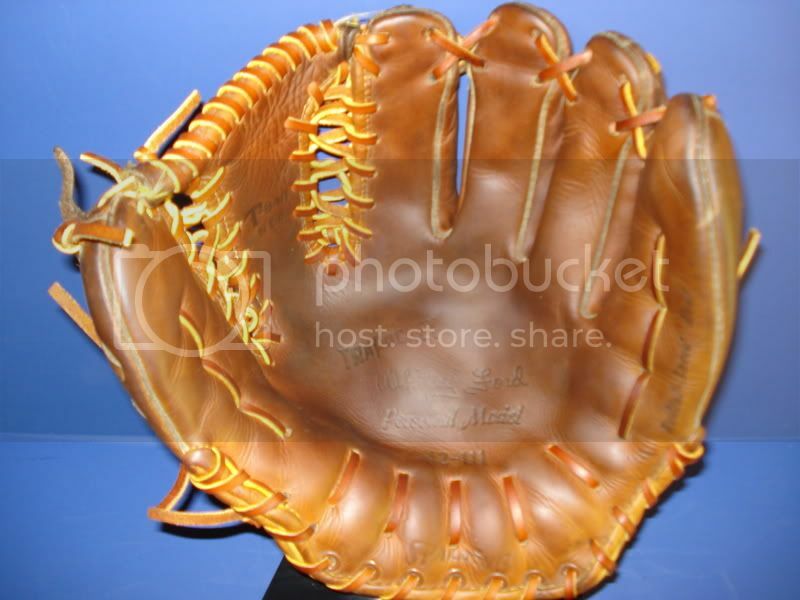 Another classic design, this glove is a bit darkened in the palm but appears flawless elsewhere. 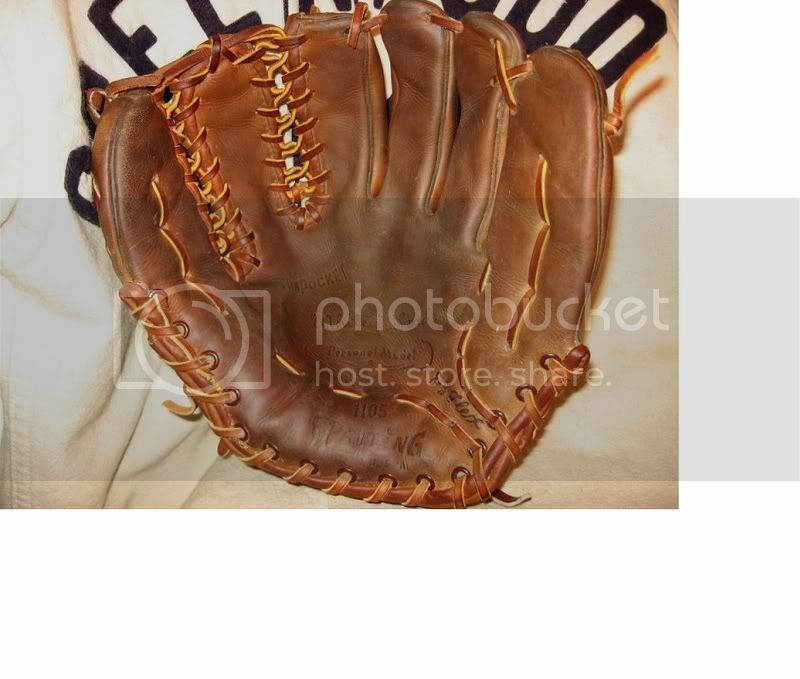 The lacing is indeed completely original....nice catch.